The negativity of experience arises in our encounters with difference and otherness, and locates the moments in which we begin to learn from disillusionment, struggle and suffering. The questions that I ask in this paper relate to the difficulties and possibilities surrounding the relationship between self and other in education. How does the learner experience the world and learn to interact with other human beings? What is the teacher’s role in the learner’s process of experiencing and learning about the world? Can and should the teacher guide or even interrupt this process? Here, I seek to answer these questions by examining the educational meaning of ‘negativity’ as it plays a constitutive role in transformational encounters between the self and the other. To do this, I turn to the German tradition of philosophy of education. 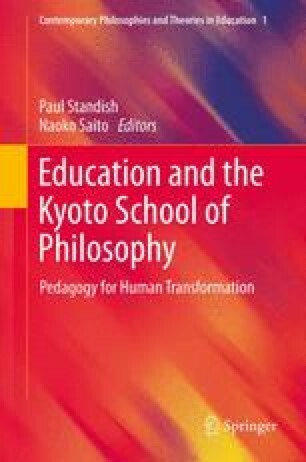 As I will seek to show, the discourse in German educational philosophy in the nineteenth and twentieth centuries and in its more recent developments provides fruitful grounds for furthering the conversation around cross-cultural concerns about education. In looking to the future of cross-cultural dialogue on this topic, I discuss the indispensable need for inquiry into how we might continue to theoretically and practically approach ‘negativity’ as a permanent blind spot that marks the human experience. I would like to thank Mount Saint Vincent University for an internal grant that has helped to support the research on this project.